Don’t worry, though – we’ve got you covered with this article, where we’ll show you how to watch ITV in USA in as few steps as possible. Why Is ITV So Popular? ITV is the website of the UK’s biggest TV broadcaster. 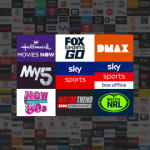 Users can enjoy tons of shows and live TV from around 6 channels through the website’s ITV Hub. The website also gives you access to a decent TV Guide. One of the best things about ITV – besides its amazing shows like “Coronation Street” and “Downton Abbey” – is the fact that it’s free to use. All you need to do is register an account, and you can start watching your favorite UK shows. Plus, if you want to pay for a subscription, the pricing is fair and the service comes with a free 7-day trial too. Why Isn’t ITV Available in the US? It all comes down to geo-restrictions. ITV uses them to restrict access to a lot of its content to users who are not from the UK. How does ITV’s website know you’re not from the UK? Well, when you connect to the website, the platform analyzes your IP address and/or DNS address, both of which contain info that can be linked to your geographical location (the US, in this case). Why Is ITV Geo-Blocked Anyway? Usually, geo-restrictions are used because a company only bought the rights to broadcast certain content in a specific country, not worldwide. At the same time, network and copyright regulations come into play as well, and broadcasting companies need to abide by them. Also, ITV claims to be bound by numerous obligations to other third-party organizations (possibly hinting to copyright issues coming into play too). The solution is fairly simple – you just need to find a way to hide your geo-location when you’re online, given that’s the kind of data ITV uses to restrict access to its content. As complex as it sounds, it’s quite a simple thing to do – provided you use a Smart DNS, that is. In case you don’t know what a Smart DNS is, it’s a service that helps you bypass geo-blocks by replacing your ISP-assigned DNS address. And if you’re not familiar with what a DNS is, the acronym stands for Domain Name System, and it’s responsible for translating domain names (basically website names) into IP addresses. When you connect to ITV’s website using a Smart DNS, the service will intercept your connection request, and replace any data found in the request that points to your geographical location with other data that points to a location from the UK. Besides that, a Smart DNS will replace your standard DNS address – like we just mentioned – since your original DNS also contains data that can point to your geo-location. You could also use a VPN to hide your IP address to watch ITV in USA, as your IP address contains information that can be linked to your geo-location too. Basically, you just need to connect to a VPN server in the UK, and you should be able to unblock the shows you want to watch. Just keep in mind that, because of the VPN’s encryption, connection speeds and loading times might be a bit slower than with a Smart DNS, which uses no encryption and lets you use your original ISP-provided speed. In the end, it wholly depends on your preferences. You could try out both services to see how they work out for you. Generally, if connection speeds matter a lot to you, it’s better to opt for a Smart DNS. 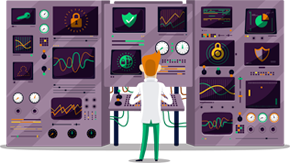 But if that’s not a huge concern, and you mostly want to unblock geo-restricted content and secure your online connections, Internet traffic, and personal data at the same time, a VPN would be more suited to your needs. Looking for a straightforward, intuitive service that can give you quick access to ITV? We’ve got you covered! With SmartyDNS, you get immediate access to multiple amazing shows on that website. 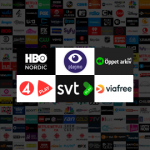 What’s more, you can unblock over 30 other websites from the UK if you’re looking for more British entertainment – like Channel 4, Channel 5, and Sky Go (just to name a few examples). Best of all – you get to enjoy unlimited bandwidth and the ability to access content from different countries at the same time without having to change any settings on your device! 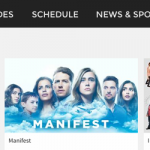 How to Watch ITV Live in USA with SmartyDNS? Get access to ITV instantaneously no matter where you are – on the bus, at home, or even traveling abroad. We know how stressful purchases can usually be, so we aim to eliminate all that. That’s why we offer you the possibility to test out SmartyDNS free of charge for 3 days before choosing a subscription plan. And yes, our trial includes access to both VPN and Smart DNS services! Plus, after you choose a plan, you’ll still be covered by our 30-day money-back guarantee in case the service doesn’t work as advertised.